The simplicity factor without the myriad clauses and dot points provides a vehicle to bring organizations, leaders and teams back to what makes Agile so powerful. 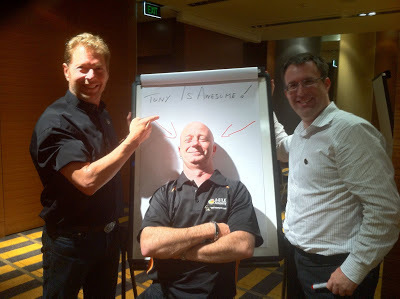 Tony has been an IT Professional for over 20 years and an Agile-Lean Practitioner, Coach and Trainer since 2002. He specialises in coaching leaders, individuals and organisations to achieve Agility and build high performing cultures. 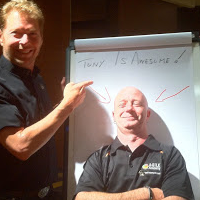 Tony has trained and coached for Australian and International enterprise companies, as well as presenting and training at conferences such as; Agile Australia, Scrum Australia, World BA conference, Lean Thinking and Practice Summit and the Lean Agile Systems Thinking Conference. He co-chairs one of the worlds leading Agile podcasts, The Agile Revolution, and appears in the publication ‘Who is Agile Australia and New Zealand". Agile has become so convoluted with scaling frameworks and multiple methodologies, all of them claiming to be the golden cure to creating agility. I find increasingly that every time I am asked to help somewhere that had a failed or less than optimal Agile implementation, it was because they had ignored the basics. A return to these made immediate and lasting impact every time. When Alistair crystallised this into the simplicity that is the Heart of Agile using those four words, Collaborate, Deliver, Reflect, Improve, it gave voice and premise to have conversations with organisations, leaders and teams in a clear and simple way that is easily grasped and implemented immediately.